A song which was liked by one of the finest rappers of India- Enkore from Mumbai, Real Talk is a track which is mainly about life & its hustles,and keeping it real. 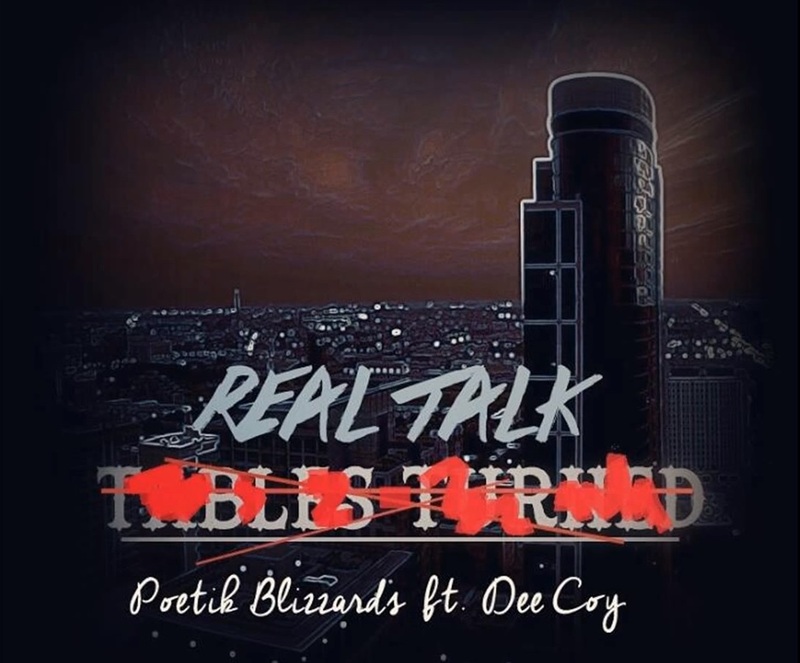 Originally titled “Tables Turned”,it was a last minute decision to change the name to “Real Talk”, while designing the cover art for the track. The track has been made on the instrumental for 50 Cent’s Too Rich,which has been produced by London On The Track. It is a part of his latest tape- Kanan Tape. This is the 1st track from Poetik Blizzards,since their last track Life Goes On, which was released in June this year. However, the duo has been quite busy during this gap, and has been involved in music production & recording other artists in their home studio.